Buying a new car seat for your child is one of the first purchases you may make as you plan on a new addition to your family. While using a car seat is the law in Hollywood and across Florida and while parents understand the importance of having a car seat, having the safety device is not enough. 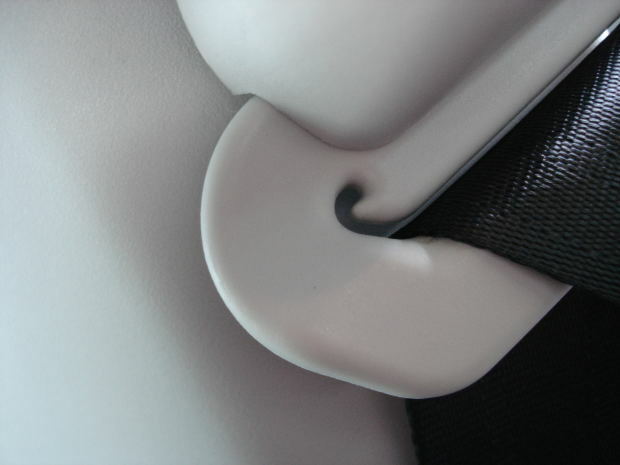 To prevent infant and child injuries in a Hollywood car accident, you need to use the car seat correctly. Statistics show a significant portion of families do not use car seats in a way that will offer the child maximum protection in a crash. According to the National Highway Traffic Safety Administration (NHTSA), for example, 75% of car seats are not installed properly. Using a car seat incorrectly can be as dangerous as not using one at all. 1) Use the car seat every time you take your child somewhere by car. A common problem with car seats is that not every child enjoys using them. In fact, some infants and children fuss considerably when being placed in a car seat. Seeing your child distressed can be very upsetting, but it’s important to keep them in their car seat – even on short trips. Every time your child is in a car and the car is moving, it’s imperative to have your child in an age-appropriate safety device. If your child is very resistant – to the point where using the car seat is a challenge – talk to your child’s pediatrician about ways to make trips less traumatic. 2) Don’t switch your child out of a car seat too soon. The instructions on car safety systems for kids can be confusing, since most list both an age and a weight/height limit. Most safety experts recommend using the weight and size requirements rather than age, since children grow at different rates and since in a car accident, it will not matter how old your child is – what will matter is how much protection they have. Safety experts recommend keeping a child in a five-point-harness-type car seat until the child’s shoulders no longer fit under the harness or the child weighs at least 40 pounds. Infants should be kept in a rear-facing car seat until they reach the height and weight limits. When a child is at least 40 pounds and until the child reaches 4’9, the child should be placed in a booster seat. Not wearing a booster seat can mean the seat belt cuts into your child’s neck or face, possibly causing catastrophic and life-threatening injury in a car crash. 3) Install the car seat correctly. Always install a child safety seat in the rear seats of your car – this is the safest spot for your child if you’re ever in a car accident. Always follow the instructions and manufacturer’s directions when installing the seat, and ensure that the seat is attached firmly. The car seat, when properly installed, should not move more than one inch in any direction. Follow the guides on the seat to achieve the right angle for your child. If possible, install the car seat in the center of the back seat if you have side-impact airbags. If the airbags inflate, they could seriously injure your child, even if your child is in a safety seat. If you’re not sure you have installed your seat correctly or if your child has special needs that could affect car seat use, consult with a certified child passenger safety technician (CPST) to ensure you have the right fit. If your child is injured in a car accident or while using a car seat, contact Flaxman Law Group if you’d like to explore your legal options. Flaxman Law Group serves the entire South Florida community and the attorneys at our law firm are always pleased to offer free consultations to those who have been injured.